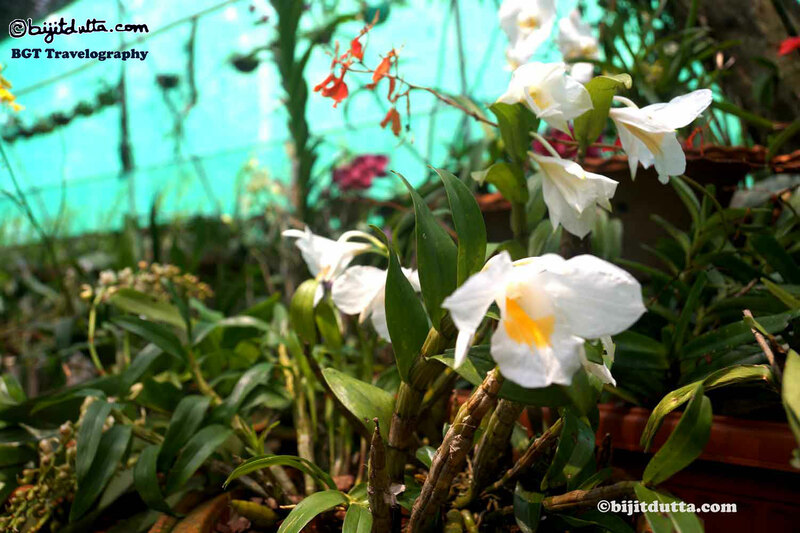 Orchids are the greatest pride of the North-East India’s landscape and bio-diversity. 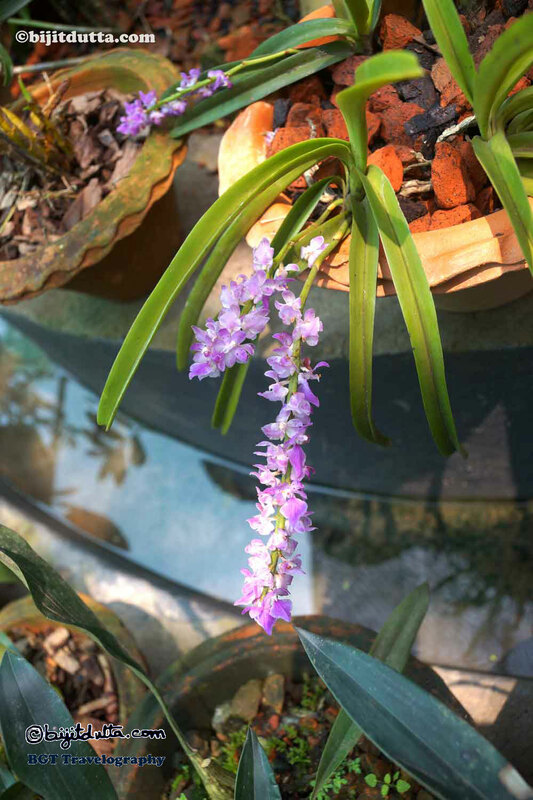 After tea and petroleum, region is known across the world for a great variety of orchids found in our forests, hills and mountains. 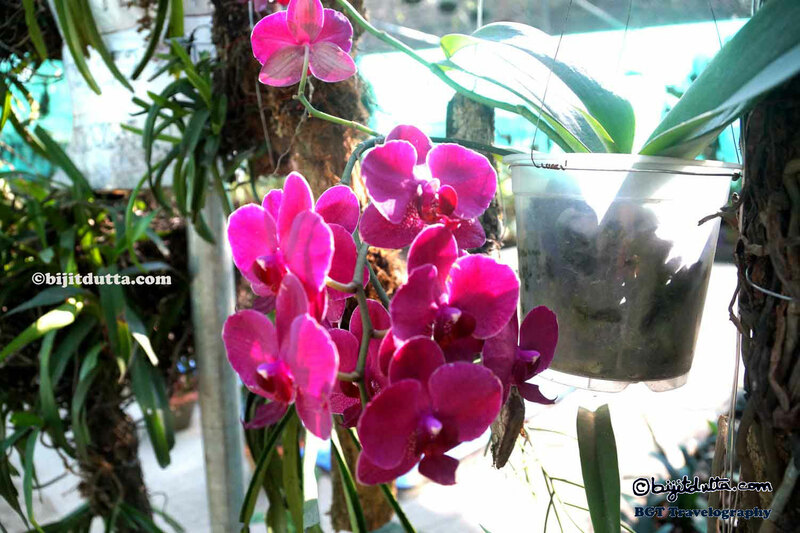 Orchids are the symbol of our natural heritage and our pristine natural health. 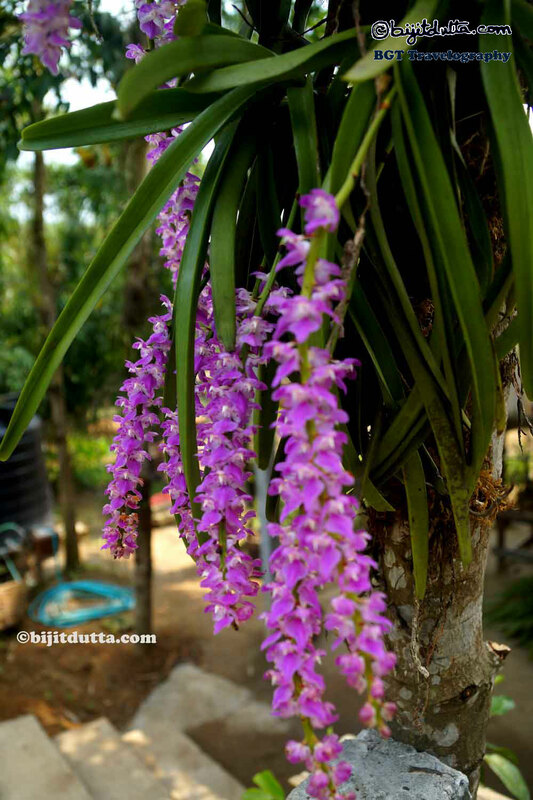 Assam’s own state flower is Kapou ( Rhynchostylis retusa), a popular orchid. 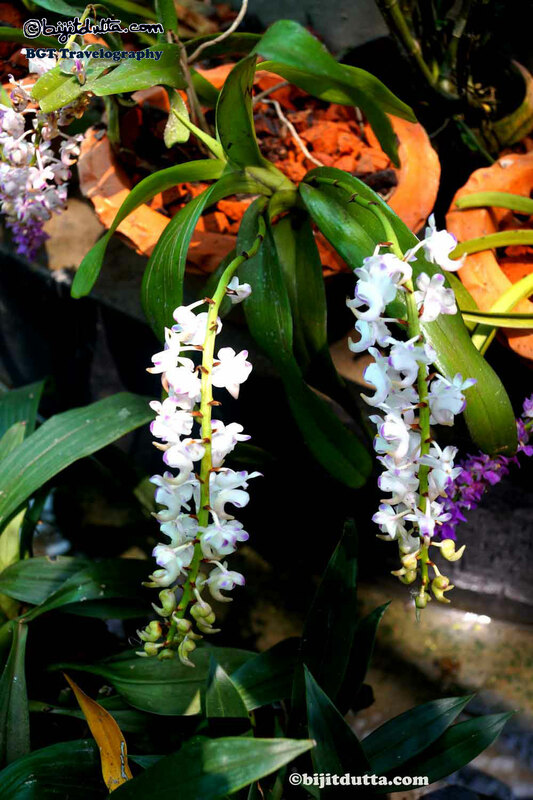 Across the natural world of North-East India, there are innumerable varieties of orchids. 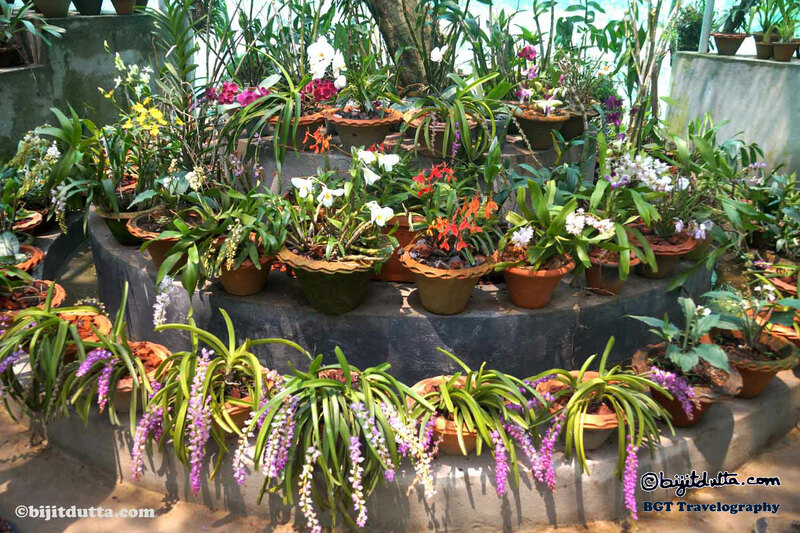 Across the world there are approximately 25,000 to 35,000 varieties of orchids.India has approximately 1314 varieties. 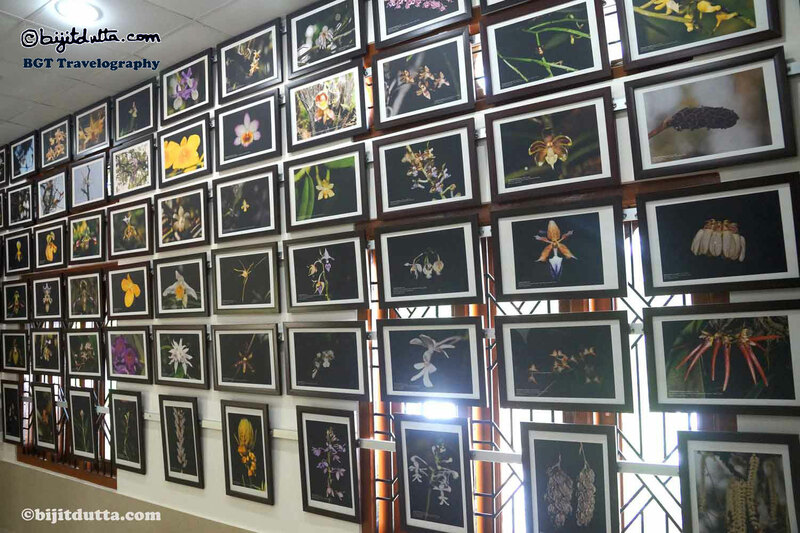 Till now scientists have been able to identify only about 850 varieties of orchids in North-East India of which. 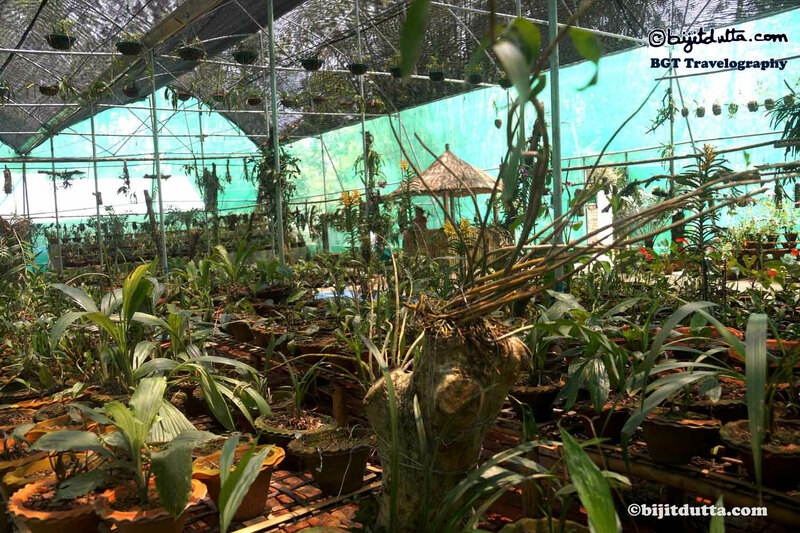 Assam has 402 species. 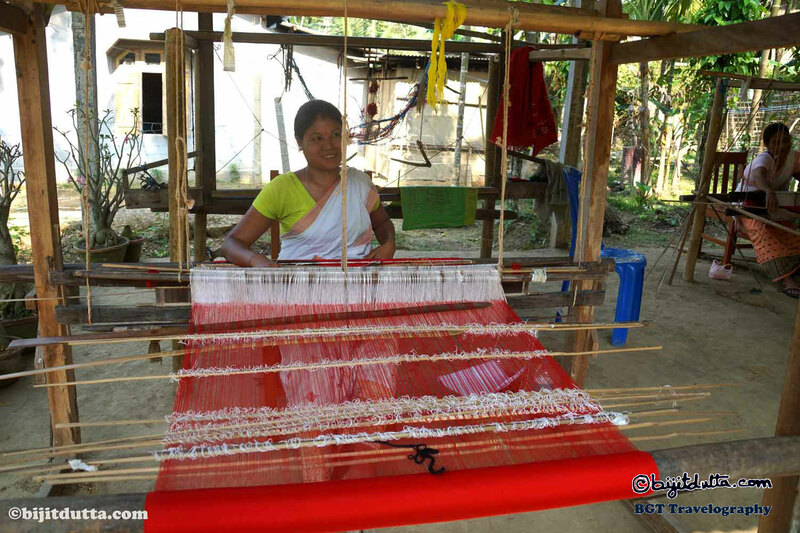 The Krishak Mukti Sangram Samiti (KMSS)is committed to protect the local heritage and resources. The KMSS believes that the people must have access to a well-protected natural heritage. 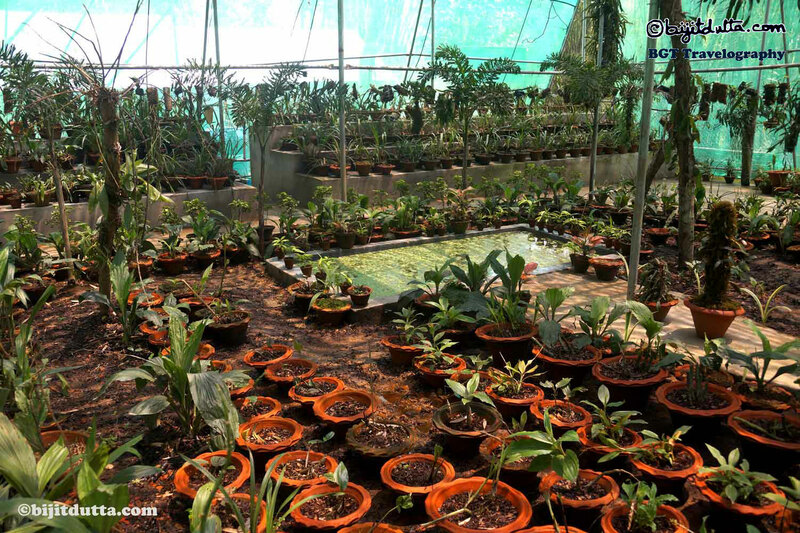 Protection of indigenous plants, fishes and crops is one of the key motto of the KMSS. Given the massive onslaught of capitalism on indigenous resources, knowledge and economic practices, people must be able to take adequate measures to protect their knowledge system and their natural surroundings. With these motto in perspective, the KMSS has initiated a programm to preserve our natural heritage and resources. 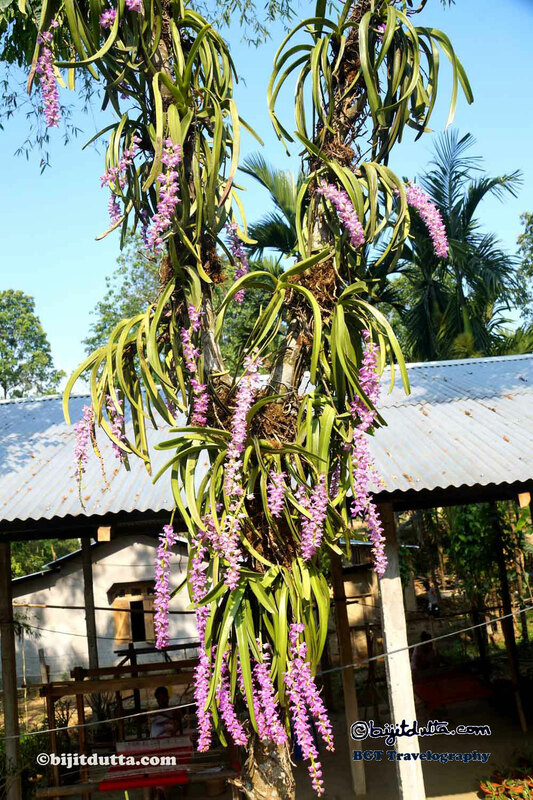 An orchid and bio-diversity park has been established from the month of October, 2015 near Kaziranga National Park in a sprawling about 3 hectors of land. Various natural features mark this landscape. 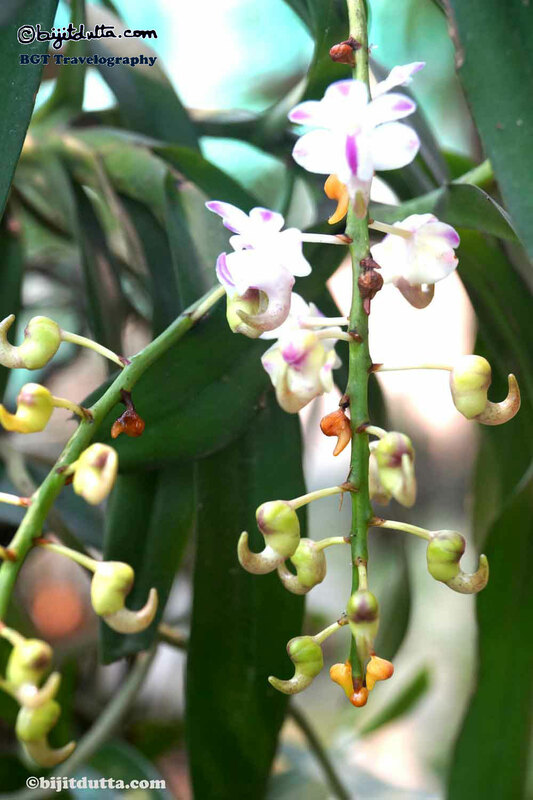 They have named it as Kaziranga National Orchid and Bio-Diversity Park. 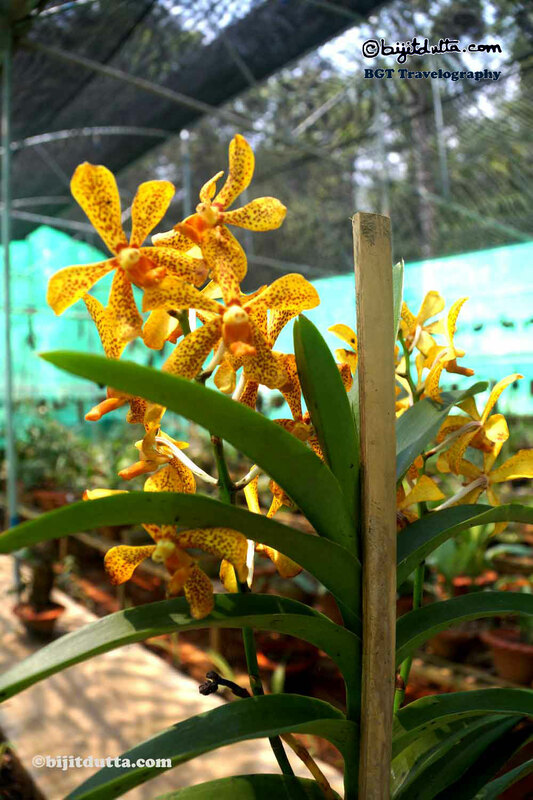 The Kaziranga National Orchid and Bio-Diversity Park has housed 600 more varieties of wild orchids. 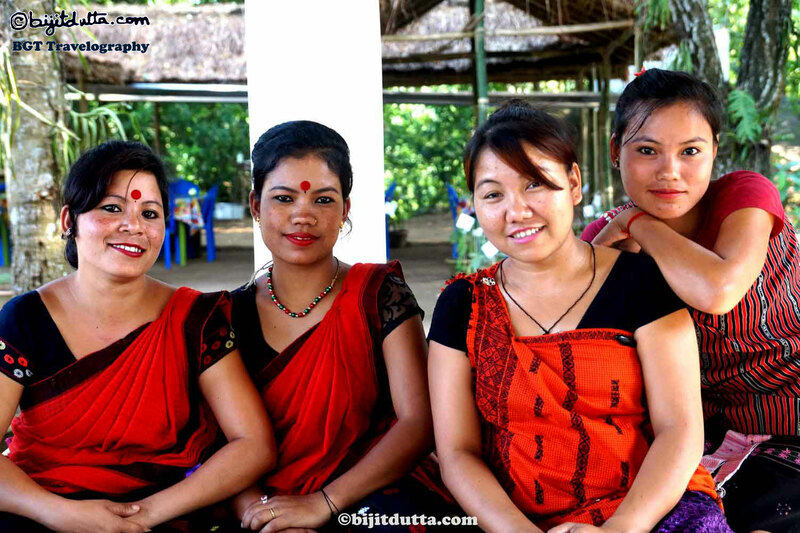 Their team of experts collects all of them from different locations of North-East India. Many of them are of rare and would be found only locally. Possibly, some may not even have a name. They planted all of them in a wild state. Also, they have placed them in a green house along with some select hybrid varieties. 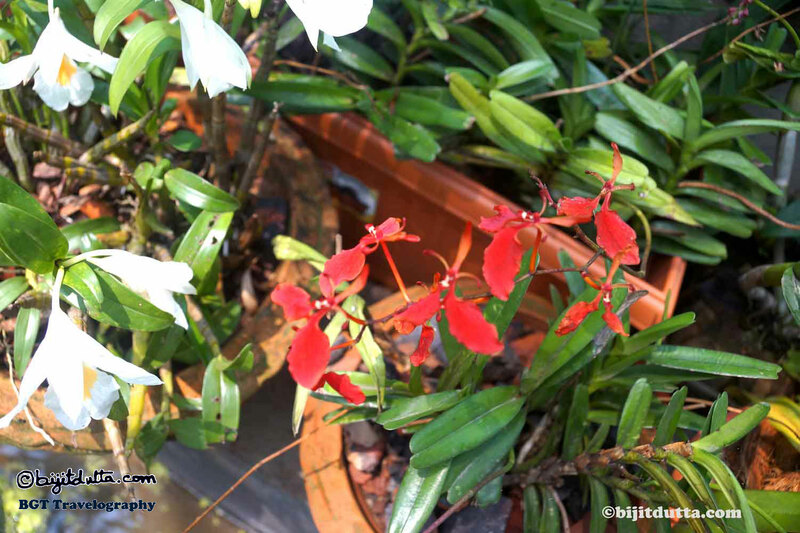 Some refuses to be planted anywhere expect their own habitat. 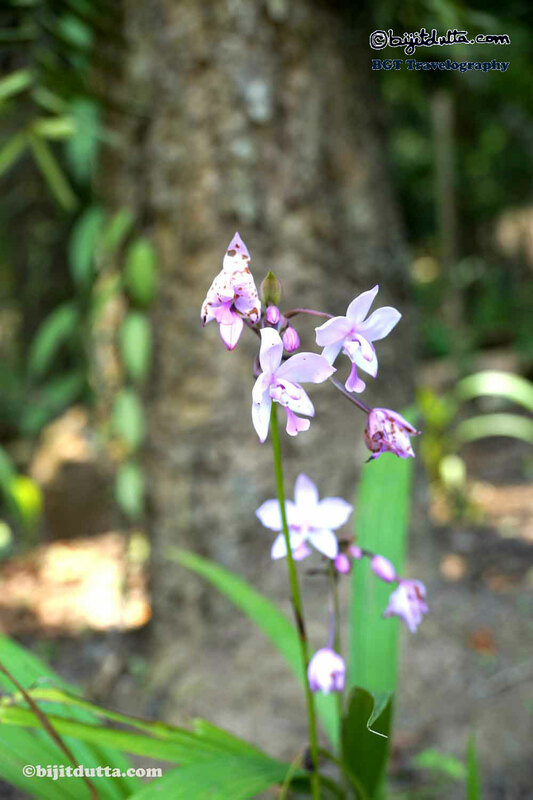 The Park has more than this: it houses a rice museum, a medicinal plant garden along with a product outlet center, a garden for native flower s and fruits, a fishery for native fish species and an extensive forests which houses most native species of trees apart from a cultural centre. 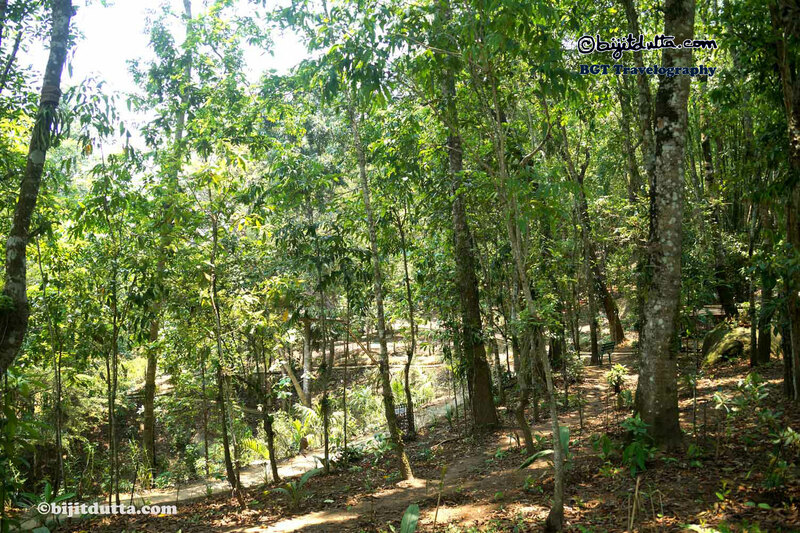 This forest also has various native varieties of bamboo and cane. 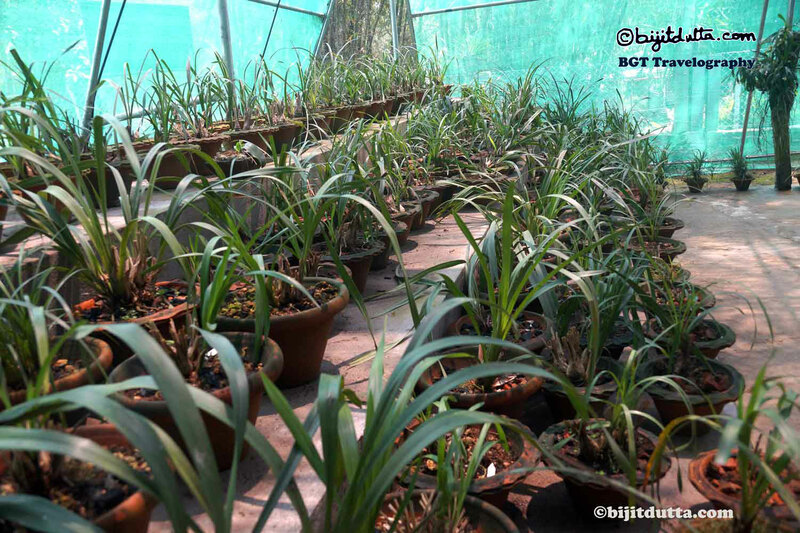 The North-East India is also home to a large number of rice species, which are grown in different seasons. 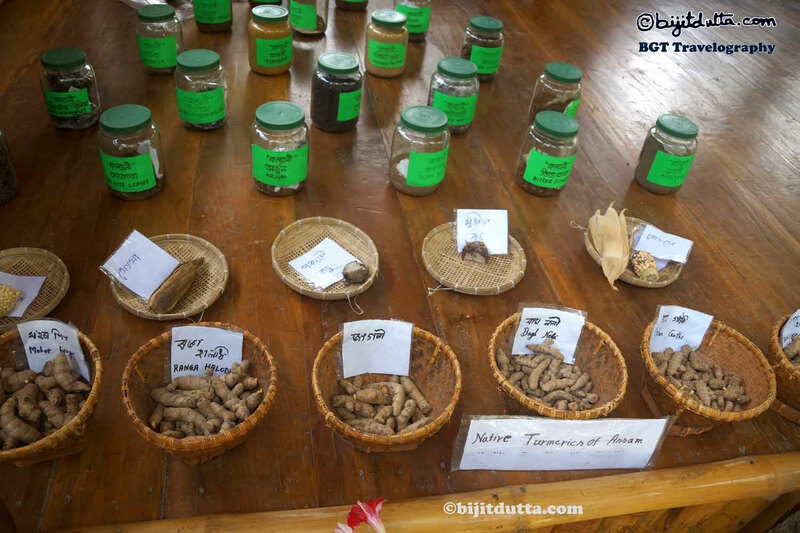 Most of them have disappeared from our daily recipes,or our farmers have no access to their seeds.Some varieties can cope up with natural challenges like flood etc. Most of these species are enriched with nutritional values. 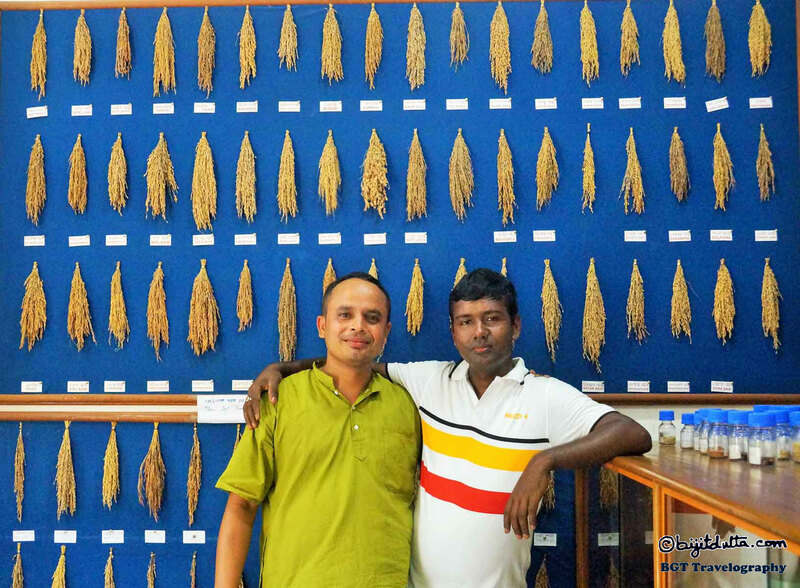 Renewed Seed Conservator and Farmer Mahan Bora of Jorhat has worked tirelessly to collect those native specimens, collect their history and have carefully built a repository of more than 200 varieties of rice cultivated in this locality.They are encouraging our farmers to cultivate them in their fields. Fish is also part of our natural heritage. The native varieties are fast disappearing from our rivers, bills and ponds for various reasons. 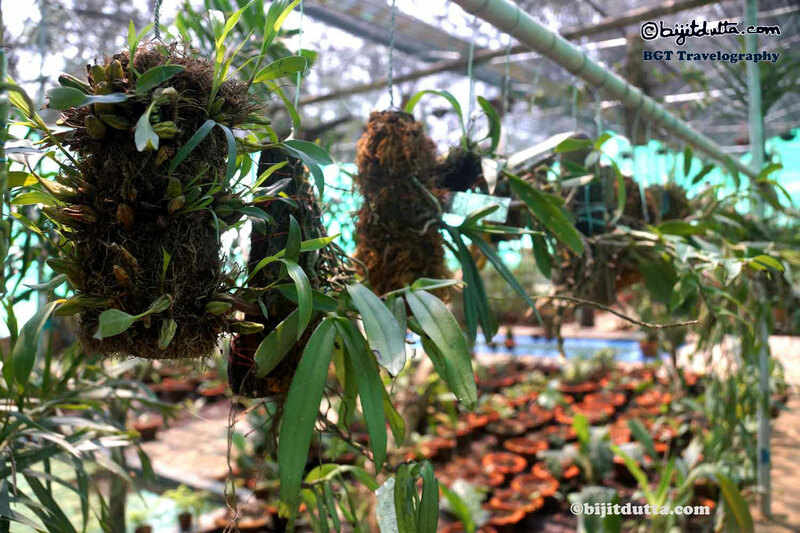 As an experiment , they have collected selected indigenous species and preserved them in two ponds within this park. A boating facility is also available in the Park. 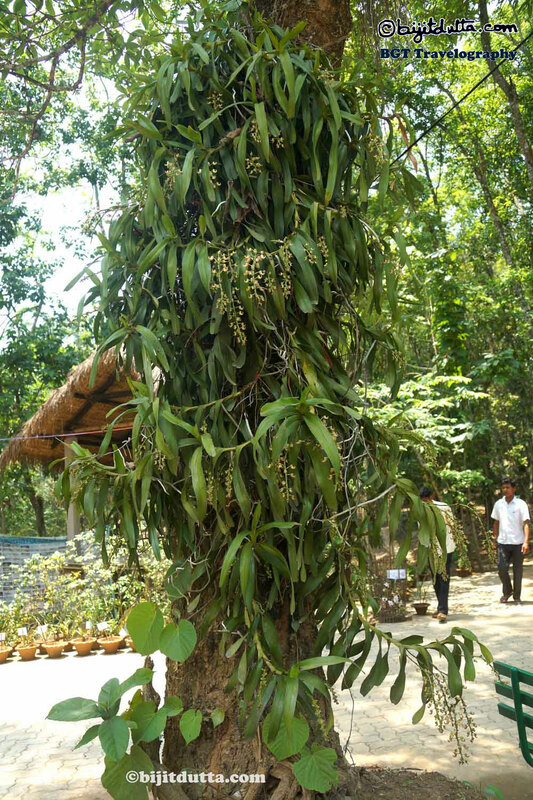 Every one will cherish a walk through the splendid natural pathways within the Kaziranga National Orchid and Bio- Diversity Park. One can enjoy nature’s beauty in silence and immerse in deep thought. 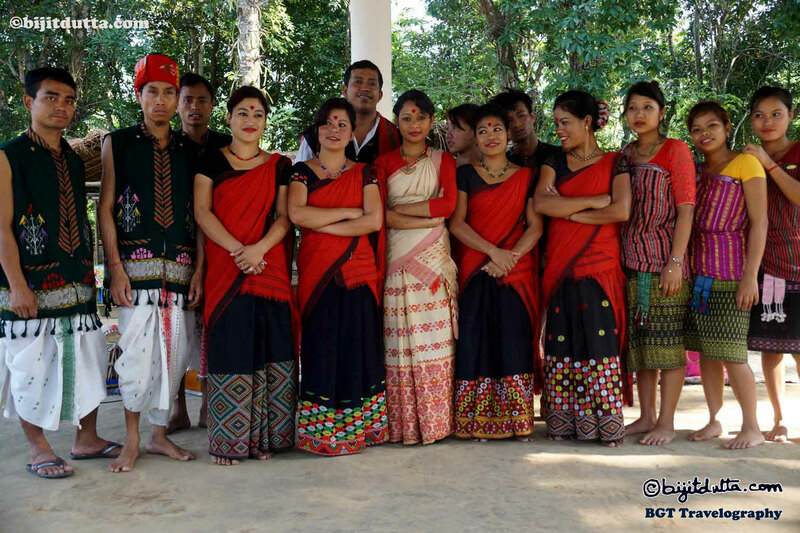 The park also houses a center to promote native cultures of Assam. 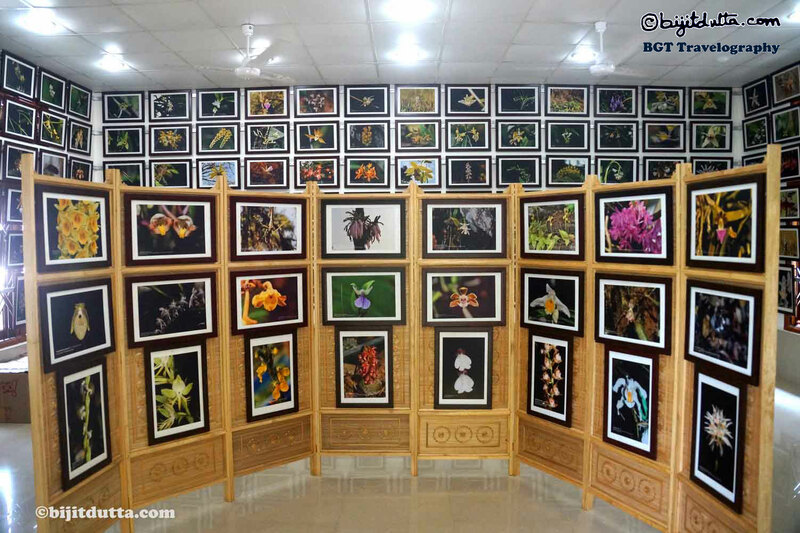 These art forms are regularly shown to arriving tourists. Throughout the day our folk -artists are playing in a natural setting of their own. One might be playing flute or another one playing with her instrument. 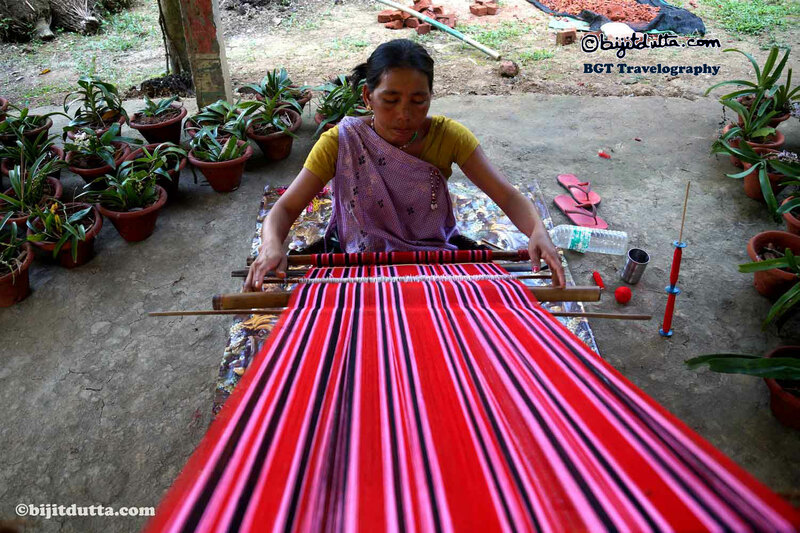 Tourists will also be able to get a taste of North-East India’s ethnic food. 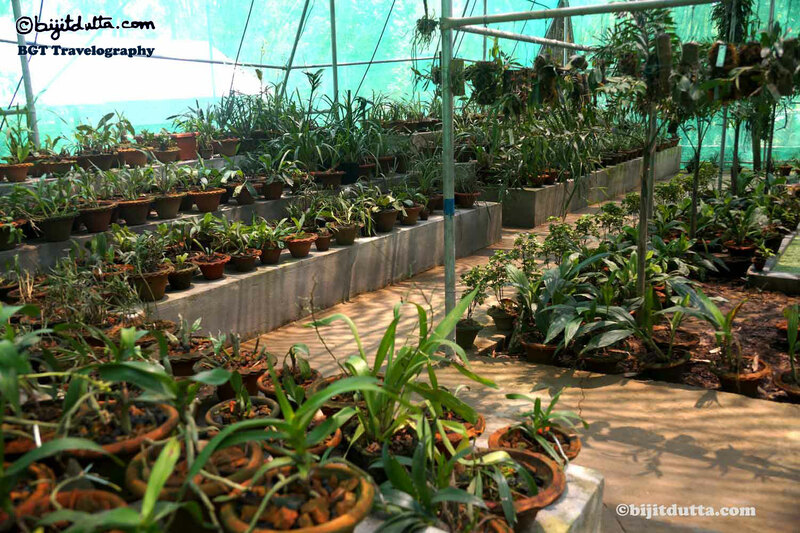 1) A cactus garden is developed with species from all over India. 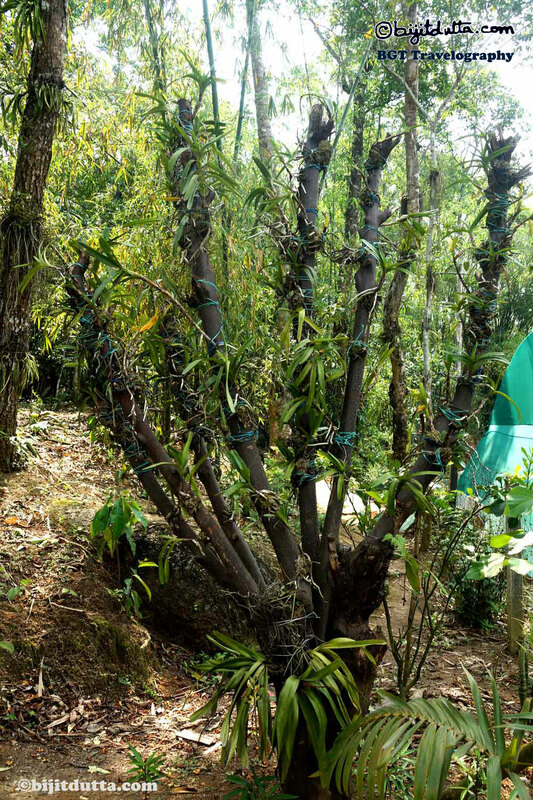 2) A bamboo garder is planned and developed with all the species of the NE India. 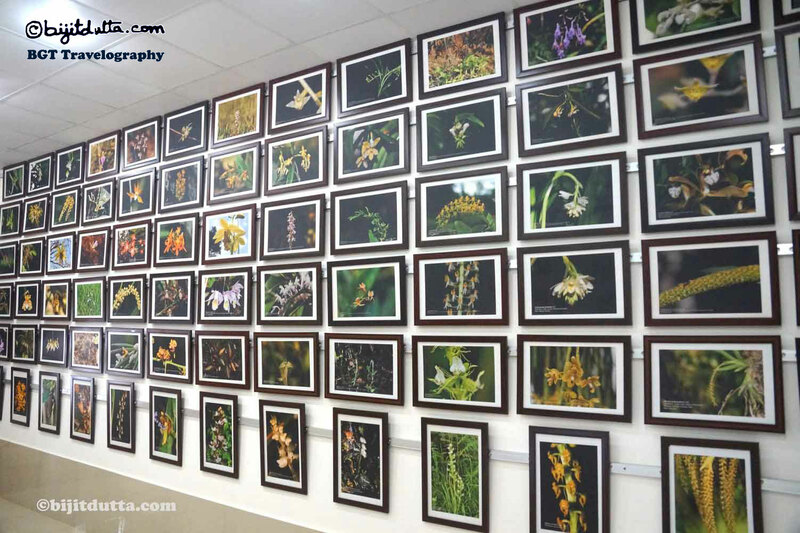 3) A photo -gallery of the Archaelogical Sites of the North-East India. 4) Scientific amusements for the Children. 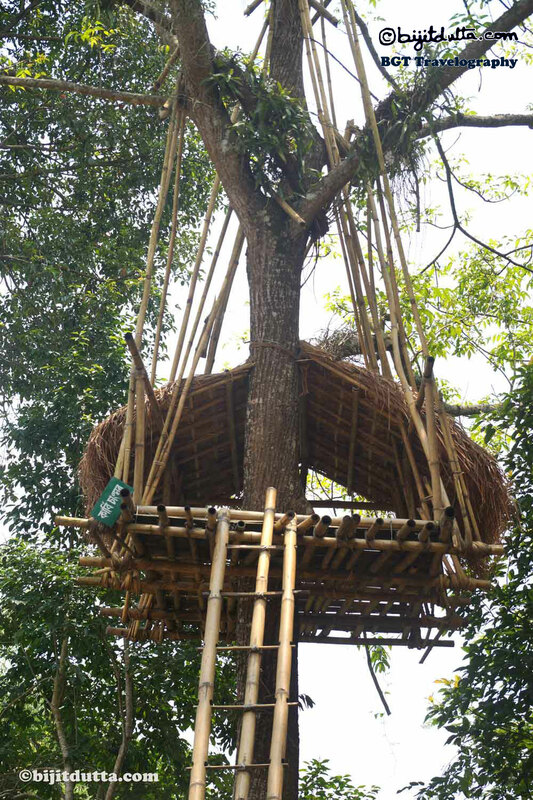 This year for the first time in Assam, Kaziranga National Orchid and Bio-Diversity Park through the ‘Na-Bhui Utsav’ (a festival to starting of plantation of crop for the season) about 60 bighas of agricultural land was planted by farmers and tourist.